Rally against sewage disposal outside BC Premier Christy Clark’s office in Kelowna, April 18, 2015. 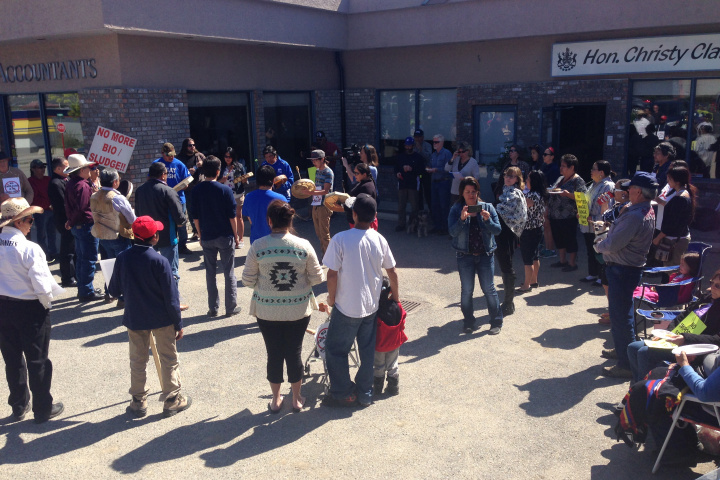 WEST KELOWNA – Saturday marked day four of a protest at Premier Christy Clark’s constituency office in West Kelowna. 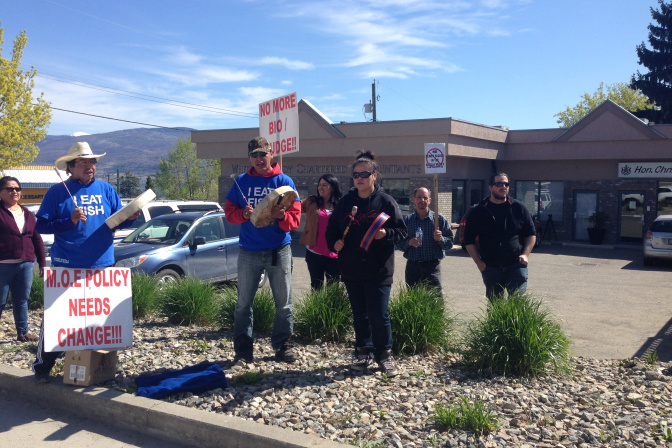 The demonstration began last Wednesday when a handful of native chiefs from the Nicola Valley occupied the office to take a stand against bio-solid sewage waste being trucked from the Okanagan to land near Merritt.